Hey everybody, it's Truffles! 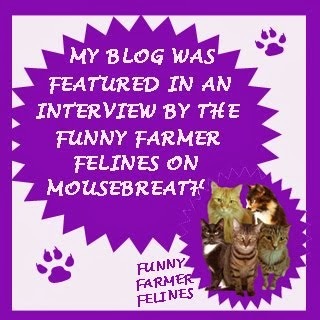 Today I'm purring with excitement because I had the chance to interview Rags, the feline star from one of Mommy's favorite series, the Klepto Cat mysteries by Patricia Fry. Make sure you leave a comment with your email address because we'll be giving away winner's choice of Catnapped in print or Kindle or Cat-Eye Witness or Sleight of Paw in Kindle to one lucky reader. Welcome, Rags! Please tell us how you came to live with Savannah. Oh yes, about my name; some people, when they hear my name, think I’m a ragdoll, until they meet me. Actually, truth-be-known, my mother was a ragdoll cat. But that isn’t why Savannah gave me my special name. She wanted me to have a classy name—not an ordinary cat name. So she decided on Ragsdale. Sophisticated, don’t you think? I like it okay. But sometimes Savannah calls me Ragsy—in front of guests. Embarrassing! I have very few typical days. I enjoy life. I love it when guests come to visit. Some of them bring interesting toys for me in their purses and pockets. If I get a chance, I take them upstairs to keep all my other toys company. I especially love it when Charlotte comes to play. I usually get to go outside with her. I like being outside. When Savannah and I lived in Los Angeles, I went out whenever I wanted. But I have different rules here in the country. Charlotte is one of my best friends, you know. She talks funny, but I can communicate with her just fine. Another good friend is Adam. He’s a human kitten. We’re expecting another human kitten very soon. Do you know what’s the most exciting part about getting ready for a new human kitten? Everyone brings the coolest toys. Don’t tell Savannah and Michael, but most of them are now living in my toy box upstairs. How do you use your kleptomaniac tendencies to help Savannah solve mysteries? Oh that! I don’t know why everyone makes such a big deal about my abilities. I find things and make sure they get to the right people. That’s all. Between us cats, Truffles, everyone thinks I’m pretty clever, but I’m just being me. Once, I got to go to the police station and point out the bad guy. I was the only one who knew who it was, you see. Another time, all I did was hide a man’s hat. I thought I’d be in trouble. Instead, I was a hero ’cause I saved Savannah’s life. What kind of mischief do you get into in Sleight of Paw? 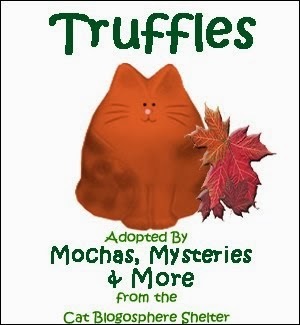 Oh my gosh, Truffles, you’re never going to believe it. I witnessed another murder. But, without knowing it, I snagged a bit of what they call “evidence” and Detective Craig Sledge used it to catch the bad guys. Also, in my cat-like way, I told Savannah and Michael loud and clear who tried to kidnap our dog, Lexie. Sometimes they listen and sometimes they don’t. Since we are both cats, after all, let's get into some kitty details...do you have a favorite toy, food, sleeping place? If you saw my overflowing “stash,” as Savannah calls it—my toy box, you would know why I can’t name a favorite toy. I’d say the one I most recently found is my favorite—until I find another one. I like sleeping in Buffy’s pink canopy bed. But when I do, everyone laughs. Truffles, I have to tell you, there’s nothing like a cozy lap. Do you know anything about your upcoming adventures? Oh, yes, the next title is Undercover Cat—that’s me! I go on some of the most unbelievable adventures in this story—some of them without permission, you see. I wish you could have been there. I did get myself into a bit of a pickle, though, when a bad man got his hands on me. Scarey! 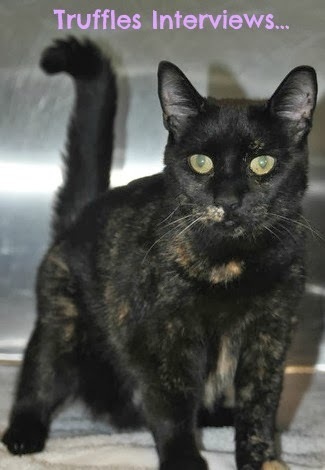 And Colbi, one of our friends, was hurt pretty bad by cat hoarders. 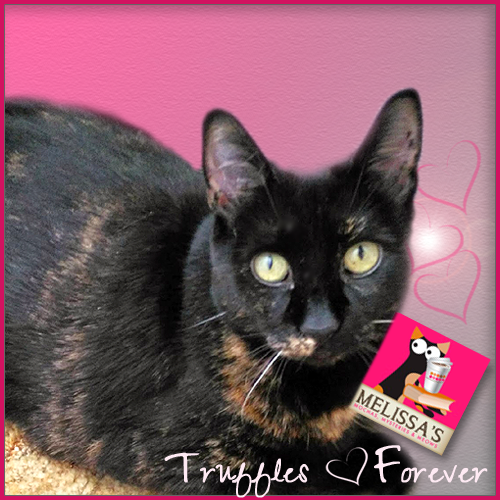 Ever hear of a cat hoarder, Truffles? Some of them are criminals. After she got hurt, Colbi was afraid to go home, so she stayed with us for a while. One of my happiest days was when she brought a baby cat to stay. We had so much fun together! Any final thoughts for your adoring public? Tell your friends to keep reading about my friends both human and animal. I have lots of them—including Peaches, a horse and Dottie, a bunny. Only the humans in our stories talk, but I definitely have my ways of communicating. About Sleight of Paw: Michael Ivey, the local veterinarian and Savannah’s new husband is attacked by an enraged client and then later accused of this man’s murder. The evidence quickly stacks up against Michael, until Rags, Savannah’s kleptomaniac cat, starts digging up clues implicating the unlikely suspect. Coinciding with the details of this challenge is the discovery that the old house, which the couple purchased from Savannah’s aunt, is cursed. Is this why the couple has not been blessed with a child? Savannah’s sister Brianna comes for a visit. She teams up with the Iveys’ vet tech, Bud, to discover how to break the gypsy spell and they fall hard for each other. Will their courtship be strengthened or weakened by a frightening carjacking incident? Detective Craig Sledge is prominent in this story as the lead investigator in the murder case. As usual, he engages in some creative tactics to get the information and the confessions he’s after. He has also become embedded in Savannah’s friend, Iris’s family. He’s dating Iris and helping with her son, Damon’s rehabilitation in prison. 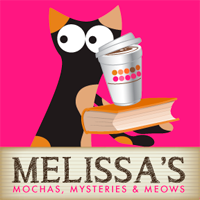 Mochas, Mysteries and Meows Review: Sleight of Paw is the third book in a mystery series that I have come to absolutely adore that follows the adventures of veterinarians Savannah and her new husband Michael Ivey. Michael has suffered the loss of one of his canine patients for unknown reasons, and the grief-stricken owner completely loses control in placing the blame at Michael's feet. When the man is found dead inside the Iveys' clinic Michael is the prime suspect. Once again Savannah's klepto kitty Rags uncovers the clues that solves the crime. This book is actually two stories for the price of one as the last third of the book centers around a curse that was placed on the home that Savannah and Michael recently purchased from her Aunt Maggie and worries that this curse is why Savannah is having trouble becoming pregnant. While looking for a way to break the spell they are assisted by their vet tech Bud and Savannah's sister Brianna, who end up falling in love. For lovers of cats and great mystery stories, I can't recommend this series highly enough. Each story stands on it's own, but read in order you get to really form a relationship with wonderful characters that make these books real page-turners. I can't wait to follow Rags, Savannah, and Michael onto the next exciting stage of their lives! I'm glad to see that Rags didn't say anything too embarrassing. He did let the cat out of the bag with regard to the next book in the series, though. I finished the final (116th or so) edit on Undercover Cat this morning. Watch for it to debut sometime this month. Who ARE you? Genius maybe? I love to read everyday about the shenanigans of your special furry friends. I look forward to tomorrow's blog. Hi, Patricia and Ragsdale. 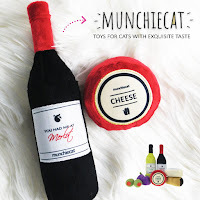 I think your name sounds quite distinguished, Ragsdale, and I'm glad you've accumulated toys.Nobody likes a bored kitty..
My cat Montana used to give my husband gifts, and leave his favorite toys in Don's shoe. My other cats prefer to hoard their toys. Congratulations on your third book. Truffles, I love your coat, too. Great interview! Love to hear directly from a klepto cat. Rags, are you for hire? - Crepes. I'm very fond of clever cats and you two certainly qualify! This looks like a fun series. I fell in love with cozy mysteries because of Koko and YumYum in The Cat Who... series years and years ago. Now I must find this Klepto Cat series and start reading it. Thanks for another great interview, Truffles. I'm new to this series, but it sounds adorable! As and animal and mystery lover, I can't think of anything more delightful than a plot involving, a kleptomaniac cat, married veterinarians and a cursed house to boot! This ones on my reading list now. Thanks for the Giveaway! 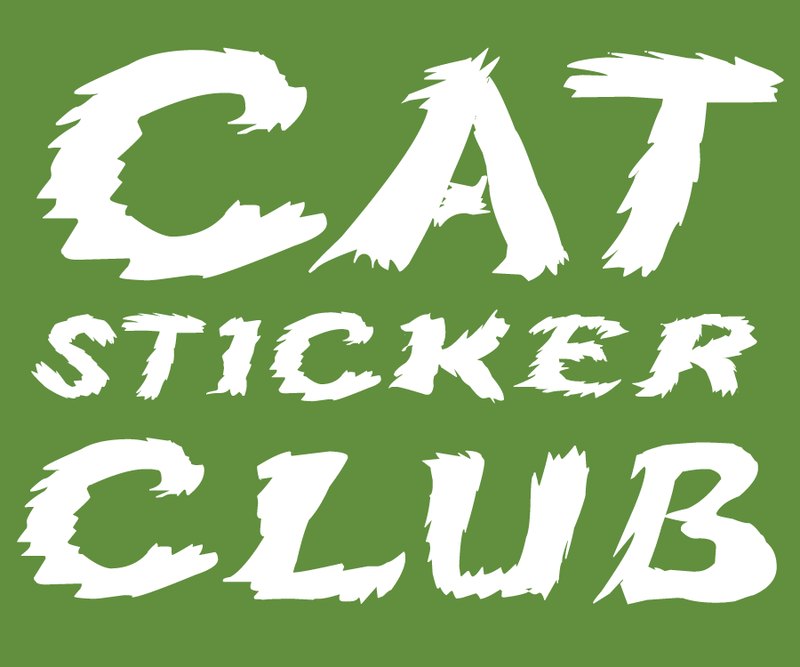 I want to thank everyone who stopped by to meet Rags and his friends during my Klepto Cat Mystery blog tour. What fun. Purrrs to you all. this is a new-to-me series!!!! I would love to read it! !